Scroll back up to the picture and let that sink in. Yes, I know some of us have major needs that only God can change, myself included. But have I fully thanked God for what he has already done. 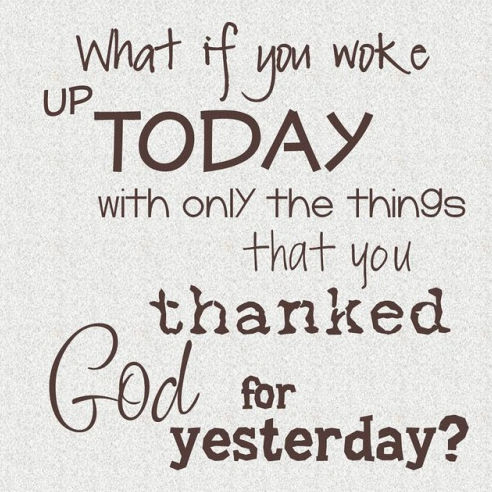 Thank him for the things that we take for granted, the things we expect to always be there, the “simple” things. Before you ask God for more…tell him thank you or what you have. thank you, may God give you more than you expect! Being Thankful!! God IS good and his mercy endures forever! Love you sis.